The Dremel DigiLab 3D40 3D Printer continues the Dremel heritage of reliability and ease-of-use while bringing the convenience of Wi-Fi connectivity and mobile interaction to the classroom. With a build capacity larger than the Dremel 3D20, you can build bigger projects inside the fully enclosed, illuminated workspace with a cooling system that prevents object warping and keeps your builds precise. Design and edit your models and control the building process using a full-colour touch-screen. And when the build is done, retrieve your object using the convenient removable build platform. Large, clear, hinged door and lid permit unobstructed viewing of the build operation so you can always see inside without compromising the build environment. Easy-to-use right out of the box, the The Dremel DigiLab 3D40 features built-in printable files so you can start building immediately, without the need of a computer. The Dremel DigiLab 3D40 3D Printer continues the Dremel heritage of reliability and ease-of-use while bringing the convenience of Wi-Fi connectivity and mobile interaction. With a build capacity larger than the Dremel 3D20, you can build bigger projects inside the fully enclosed, illuminated workspace with a cooling system that prevents object warping and keeps your builds precise. Design and edit your models and control the building process using a full-colour touch-screen. And when the build is done, retrieve your object using the convenient removable build platform. Large, clear, hinged door and lid permit unobstructed viewing of the build operation so you can always see inside without compromising the build environment. Easy-to-use right out of the box, the The Dremel DigiLab 3D40 features built-in printable files so you can start building immediately, without the need of a computer. 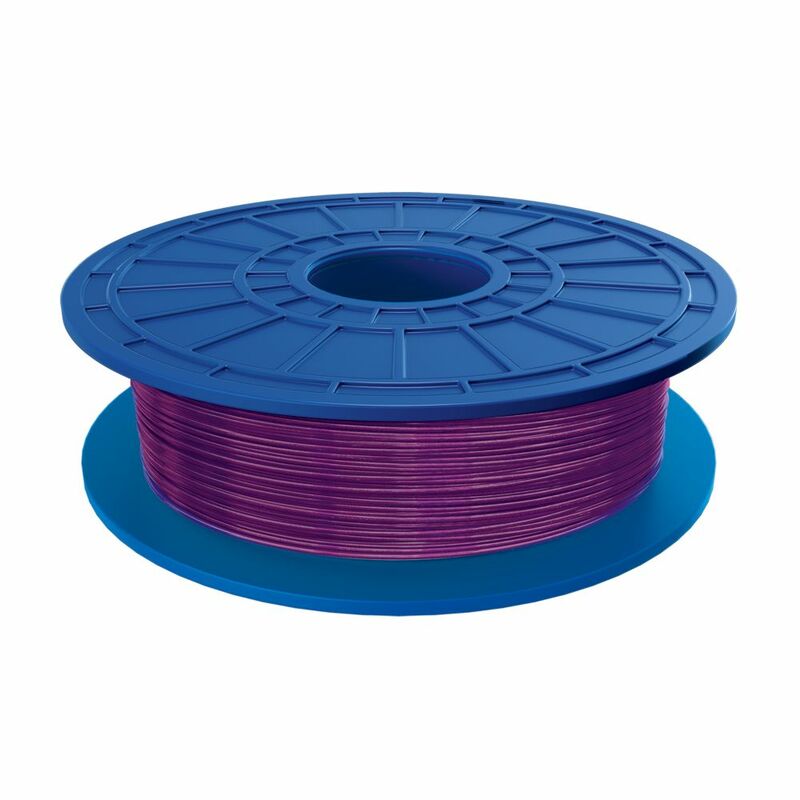 PLA 3D Filament in Purple The Dremel PLA (polylactic acid) filament has been specifically designed to work with your Dremel 3D printer for optimal results. The PLA is a thermal plastic that softens when heated to create your design layer by layer effortlessly with a high quality finish. PLA 3D Filament in Purple is rated 5.0 out of 5 by 1. Rated 5 out of 5 by MeMyself from Quick delivery Quick efficient on time delivery. Filament works well.